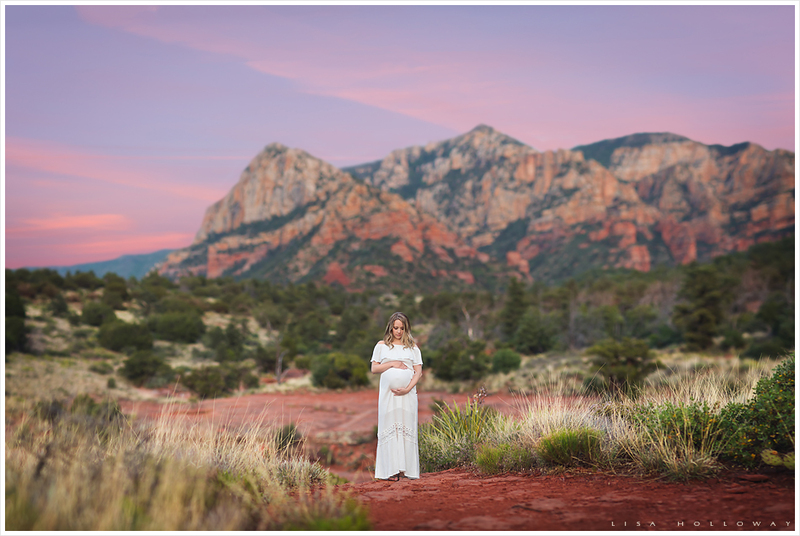 As a Las Vegas Maternity Photographer, I had such an amazing time photographing this gorgeous expecting mother in the beautiful scenery around Sedona! Danielle is from Wisconsin, but was visiting Sedona for a wedding. 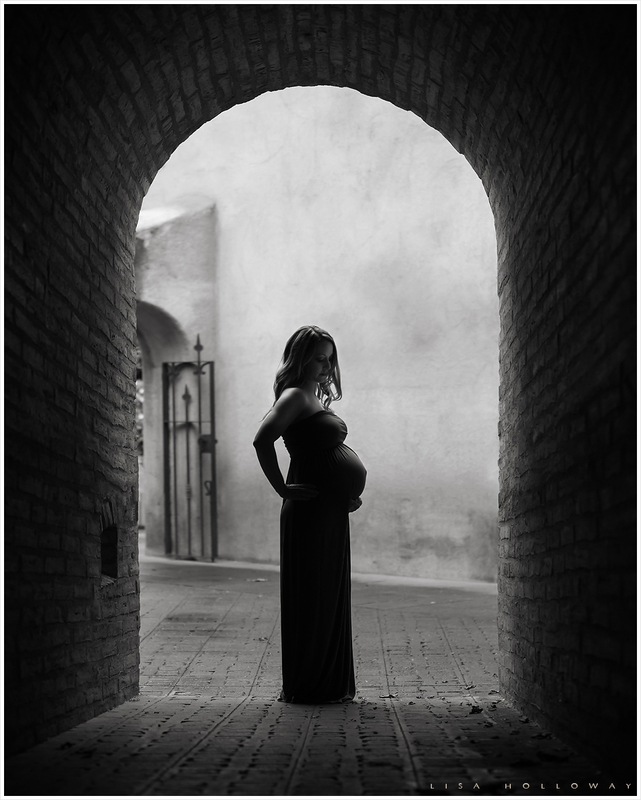 We were able to meet up and do her maternity session there. We started in Tlaquepaque and then finished up at a scenic overlook. Sedona is one of the most beautiful places in the world! If you haven’t been there, be sure to plan a visit. Better yet, let me know when you’re coming and let’s schedule a photo session there! 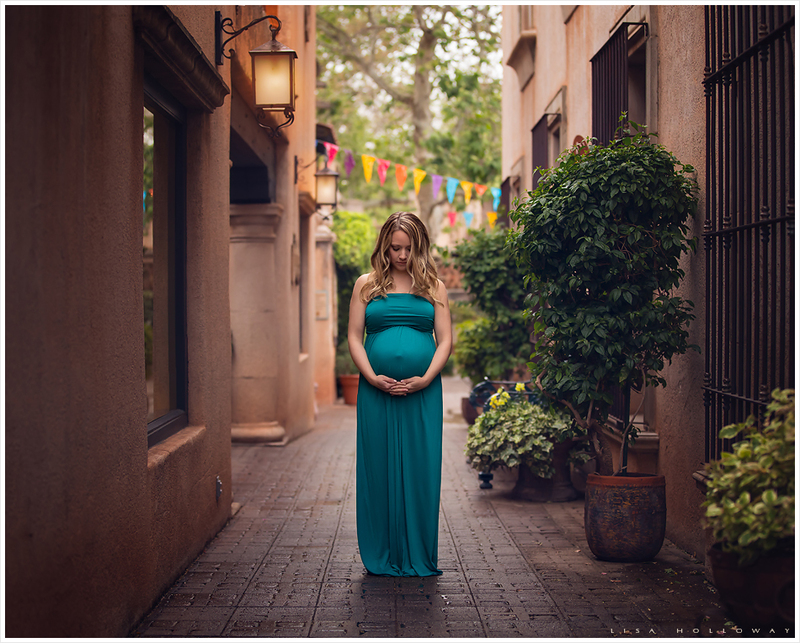 These are some of my favorite pictures from Danielle’s Sedona maternity session. The sunset that night was STUNNING! We spent most of the afternoon dodging rain showers, so this was a beautiful and unexpected surprise. A perfect ending for a beautiful day! 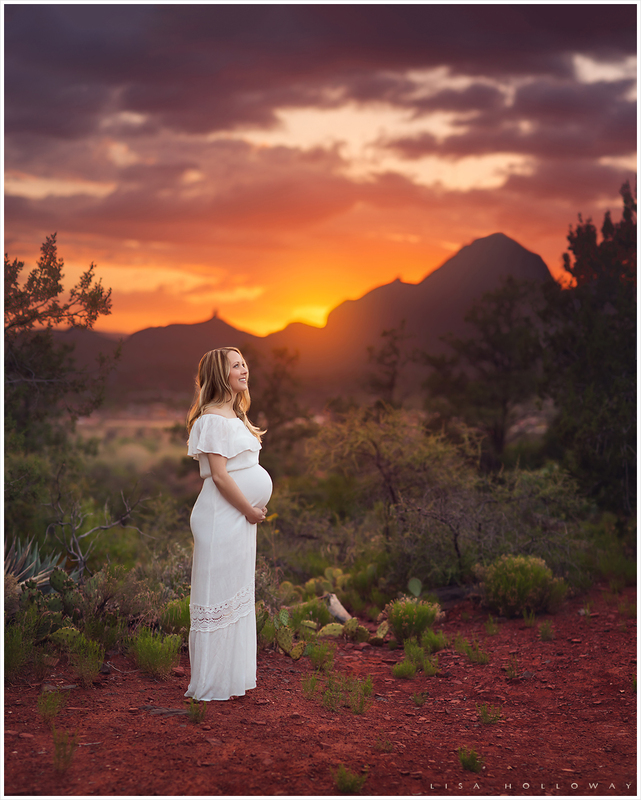 Lisa Holloway of LJHolloway photography is a Maternity Photographer in Las Vegas. Lisa is located just south of Las Vegas, Nevada. At LJHolloway Photography you will find fine art portraiture. Specializing in maternity, newborn, child, family and high school seniors. Oh wow! These are such breathtaking photos! I wish I’d had pregnancy portraits like these. Insanely good! !